Serena and Venus Williams have won their first Grand Slam doubles match in nearly two years. The sisters moved into the second round of the French Open by defeating the 14th-seeded Japanese pairing of Shuko Aoyama and Miyu Kato. The Williams sisters have not played doubles together since winning at Wimbledon two years ago and in the first set that lack of practice showed, but by the third set the sisters had found their rhythm. Serena was probably the stronger of the two sisters. Her movement, the area of her game that looks most in need of improvement, was not exposed as much in doubles. 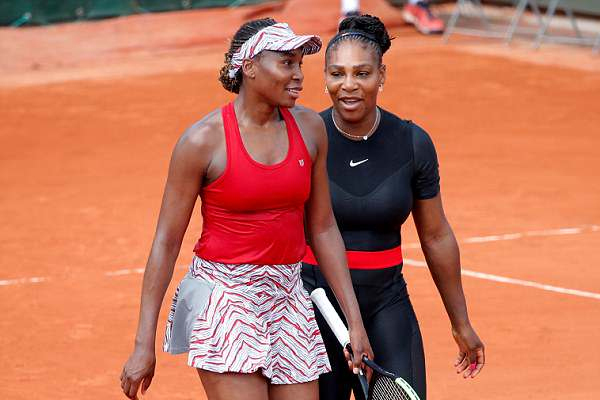 This return to doubles came a day after Serena participated in Grand Slam singles for the first time in 16 months, winning her first-round match at Roland Garros. Venus Williams lost in the first round of singles on Sunday.